Another in our ongoing series of occasional reviews of cigars given to us as gifts. Featured this time is the Padron Series 3000, given to me by my friend Mike-C back in April of ‘09. 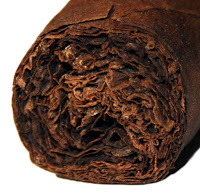 Produced by Padrón Cigars Inc., it features a dark, rich looking Nicaraguan wrapper and a sturdy parejo shape. The most recent Cigar Insider rating for it is 89 (Jun, 2007). Founded in 1964 and evolving throughout our history, the Padrón™ line today consists of fifteen medium-to full-bodied, long-filler cigars ranging from Panetelas to the large “A” size Magnum. All tobacco in this line is sun-grown habano that is aged for a minimum of two-and-one-half years. Every cigar in this line is available in natural and maduro wrapper. This line offers exceptional quality and value. Following Cigar Aficionado's 4-part rating system (Appearance & Construction, Flavor, Smoking Characteristics, and Overall Impression) I had two cigars from the gifted sampler, about two weeks apart. No-nonsense is the name of the game with these Padron Series cigars. Sure it’s rustic looking, but you know what you’re getting and pretty much what to expect. The draw was quite easy on both and they also had trouble staying lit in the second half. I appreciated the quantity of smoke produced, but found the ash a little unstable and gnarly looking. The flavor was initially woody with just a mild, pleasant spice up front. I found it to be of mild-to-medium strength through the first third. One had a period of dryness on the palate during the middle portion. Both cigars alternated between sweet & savory with something like molasses during the final third. 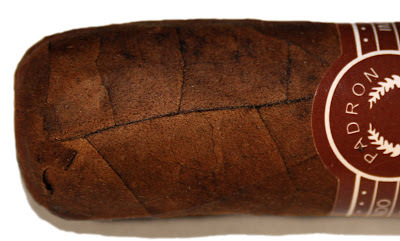 After averaging the two scorecards, my rating for the Padron Series 3000 is 81. As 80-89 is defined as Very Good to Excellent, it’s easy to agree that this is still a very good cigar, despite a rating like 81 that appears to be comparatively low.